Profesjonsetisk nettverk: Gjorde Hayeks store ide om markedet menneskene om til 'likes' og 'klikk'? – It is a name for a premise that, quietly, has come to regulate all we practise and believe: that competition is the only legitimate organising principle for human activity. – What any person acquainted with history sees as the necessary bulwarks against tyranny and exploitation – a thriving middle class and civil sphere; free institutions; universal suffrage; freedom of conscience, congregation, religion and press; a basic recognition that the individual is a bearer of dignity – held no special place in Hayek’s thought. 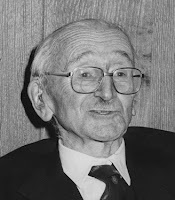 Hayek built into neoliberalism the assumption that the market provides all necessary protection against the one real political danger: totalitarianism. To prevent this, the state need only keep the market free.